Is this London’s best looking church? The Chapel of St Peter and St Paul at the Old Royal Naval College in Greenwich is another of the wonderful locations (it’s adjacent to the Painted Hall – see Greenwich’s Painted Gem) that one should visit on a trip around this beautiful part of London – especially since entry is free unless you feel moved to make a donation. Unlike many churches in the UK that combine elements of design from many styles, this is an example of pure Neoclassical design and is a fine example of architecture in the 1700’s and a testament to the quality of the skills of the painter decorator in England during the Georgian Era. 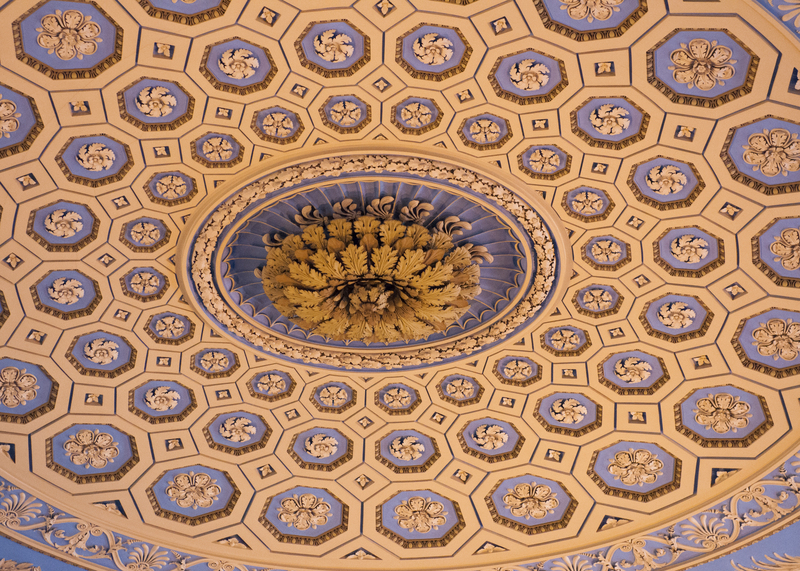 The Chapel has a magnificent painted ceiling reminiscent of a piece of Wedgwood china from the period. All of which, in my mind at least, puts it into the running of being one of the most beautiful of all of the churches in London. Details of the ornate plaster and paintwork on the underside of the church’s galleries. Another of the features not to miss is the chapel’s organ that cost £1,000 at the time of its installation in 1798 when it was commissioned from one of the country’s finest organ builders, Samuel Green (in today’s money, that would be equivalent to around £130,000). I definitely think that this together with the Painted Hall are must see destinations for any visitor that makes it to Greenwich – the Chapel is a short walk from the DLR station (Cutty Sark) and the river bus wharf (Greenwich Pier).